After another night with no air conditioning, I thought I would focus on simple white things, because they give me the illusion of being cool. 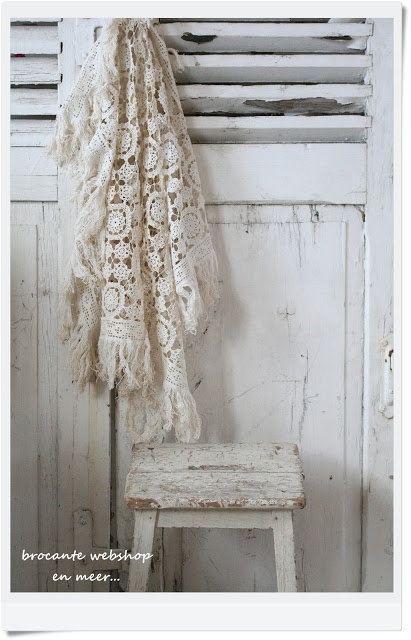 a simple white shawl and a rustic stool. 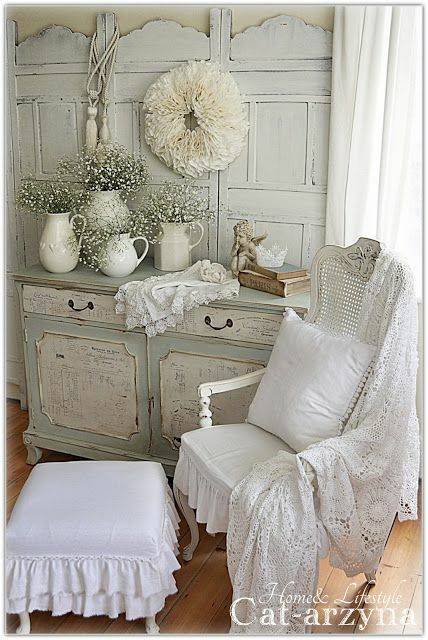 a white chair for reading. 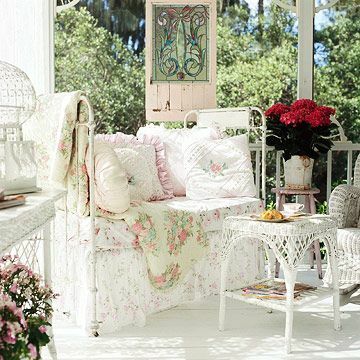 a white space for an afternoon nap on the porch. at the end of a very hot day, a lovely white bedroom with large windows to bring in the ocean breezes and a ceiling fan to swirl them around you as you sleep. and just in case you were thinking I'm not cool, my granddaughter told me she thinks I am very cool and she is pretty sure her brother does, too. Ahhhhh!!! High praise from the perfect source. I am feeling cooler already. 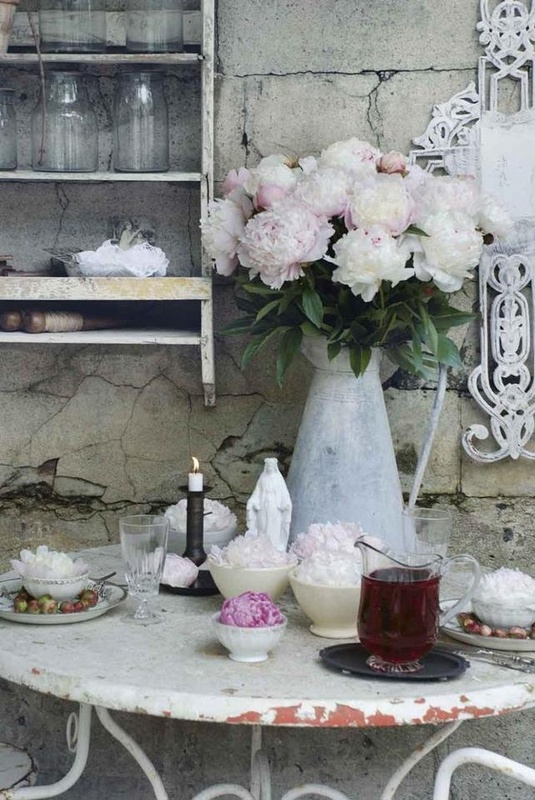 What gorgeous images Laura - I'm drooling! These make me want to decorate in all white! Keep those fans humming my friend! I mentioned you on my blog this morning! Sweet hugs! I'll take that whit porch anyway it's beautiful. Beautiful images! I hope they help to keep you cool. I love that white shawl in the first picture! They are so beautiful. White is such an interesting color. So many shades of white. I love all the images in white! and yes, it does make me feel cooler. Hoping for A/C today! The porch is beautiful and I'd love to sit there and watch the birds while sipping a cup of tea. (Although it's so hot here, it would probably have to be ICED tea!) Hope your a/c is up and running soon!! Your granddaughter is right -- you are pretty cool. Love the lacy white afghans. My home is neutral with lots of white. I agree! 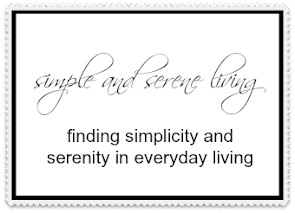 It's cool, clean, calming.. and versatile. I love the patina in the first image. I'm trying to find a shutter with a similar feel to use in my family room. Beautiful images! Laure, what beautiful images you shared. My heart goes out to you with having no air right now. It is still hot and humid here. It is supposed to get somewhat better by Wednesday. I love love love it all. Gorgeous. Loved every picture. Girl after my own heart with the whites!!!! The white bedroom is my favorite. It looks so tranquil. Laura, lovely shots of cool white, I do hope that it keeps you cool. And here's to getting your A/C back and running. Your white inspiration is gorgeous.